McKayla is an RN who has worked on a medical-surgical floor for 3 years. She graduated with an associate degree in nursing (ADN) and wants to go back to school to obtain her bachelor of science in nursing (BSN) degree. She has researched programs online, but soon becomes overwhelmed with all the information. Is it really important for her to further her education? There are so many choices and she needs to find something that suites her busy life and career. Where else should she look for information? What's the best learning environment? Let's explore the options for all nurses. * guaranteeing nurses engage in lifelong learning. Obtaining a BSN degree by 2020 directly impacts McKayla's situation. She wants to stay current and she's just starting her career. As a young nurse, she still has many years before retirement, and she would eventually like to go into nursing management. It will be in her best interest to return to school. By 2020, it's estimated that the RN nursing shortage will grow to more than 1 million nurses. It's a great time for LPNs to think about returning to school!! You can choose whether you want to pursue an ADN or a BSN degree; although it's recommended that you obtain a BSN. There are many online programs that can assist you in obtaining your RN license; some in as little as 18 months. You should examine your career goals to help you make the decision. Traditional classroom programs can take up to 4 years to complete, depending on the degree you're pursuing. This should be a consideration, but don't let it scare you!! Consider your career goals, do the research, and find out which program will work best for you. Obtaining an RN license will offer you greater pay, better career options, and the ability to obtain certification in a specialty area. The debate over BSN degrees has raged for many decades. It's generally thought that diploma nurses have better bedside skills than ADN- or BSN-prepared nurses. But is this really the case? With today's ever-changing healthcare setting and technology, it's imperative for nurses to be lifelong learners. Whether or not you choose to return to school, you must dedicate yourself to learning. Possessing a BSN degree offers more career advancement, better opportunities, and more responsibility. Additionally, a large number of Magnet(R) hospitals require a BSN degree and don't interview diploma or ADN graduates. There are two ways to obtain your BSN degree: traditional classroom instruction and online classes. Traditional classroom instruction is available at many universities. This is a great option for someone who needs structure and likes to interact personally with other students. However, there are drawbacks. Start dates are set by semester and there may be a waiting list to enter the program. These programs are usually 2 years long. Another alternative is the online learning environment. This curriculum is increasingly popular due to the flexibility, and it generally meets the needs of a working nurse with a busy schedule. Most of the classes are asynchronous, which means you can log on at any time of the day and accomplish the required work. This type of learning is self-directed and requires discipline on the part of the student. It can also present challenges if one isn't technologically savvy. Some of these degrees require working in specific areas before applying. For example, if you'd like to become a certified nurse anesthetist, most programs want to see that you've worked in the critical care setting for at least 1 year. Traditional classroom time may also be a requirement. This is true for a nurse practitioner who's specializing in a given field such as gerontology, acute care, or oncology. It's important to research schools to make the choice that's appropriate for you. There are also several online schools that are ideal for working professionals who want to work while in school. MSN programs often have more time commitments and a significant amount of required clinical time. As a general rule, it takes 2 years to obtain this degree. There are two types of doctoral level degrees for nurses: research focused and practice focused. What are the differences? PhD programs focus on research and require a research project (or dissertation). These programs generally take 3 to 4 years to complete with full-time status. Part-time study can take 5 to 6 years. There are also BSN-to-PhD fast track programs available. The doctor of nursing practice (DNP) program focuses on practice-related issues and evidence-based processes. It takes 2 years of full-time study or 4 years part-time for those already possessing an MSN degree. As with all other degrees, it's important to obtain information from several schools to find the best fit for you. You may also have to travel to complete the required residency programs for the doctoral degree. As you do your research, it's important to ask yourself a few questions. What would I like to accomplish in my career? Do I need a doctoral degree to achieve my goals? Do I have the time to dedicate to the requirements? * Keep your long-term goals in mind. * Schedule everything in your life, down to the last detail. It will help you stay on task. * Plan the next day!! It will help you with feelings of being overwhelmed. * Keep focused and work the plan. * Accomplish the difficult things first. * Be flexible!! If you encounter distractions, get back on task as soon as possible. * If everything else fails, begin again the next day. * Take time for you. This is important for your emotional well-being. Returning to school doesn't have to be intimidating. Arm yourself with information so you can make an informed decision. Taking the time to research available programs will remove much of the anxiety about going back to school. Take a deep breath and go for it!! http://AllNursingSchools.com. Master of science in nursing. http://www.allnursingschools.com/faqs/master-degrees-nursing. Institute of Medicine. The Future of Nursing: Leading Change, Advancing Health. http://www.iom.edu/~/media/Files/Report%20Files/2010/The-Future-of-Nurs-ing/Futu. http://Medi-Smart.com. To BSN or not to BSN-that is the nurse's question!! http://www.medi-smart.com/nursing-articles/nursing-school/rntobsn. http://MyOnlineNursingDegree.com. LPN to RN programs online. 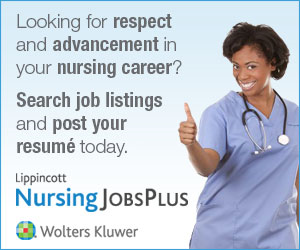 http://www.myonlinenursingdegree.com/lpn-to-rn-programs.html. NurseGroups.com. What is the difference between a DNP degree and PhD, DNS, or DNSc? http://i.nursegroups.com/nursing-article/what-is-the-difference-between-a-dnp-de. http://RNdegrees.net. 7 questions you might have about RN-to-BSN programs. http://rndegrees.net/rn-to-bsn-program-faqs.php. http://TimeManagementHelp.com. Time management for college students. http://www.timemanagementhelp.com/college.htm.